Pressed veneers are distinguished by their fabrication technique in the laboratory. Gaining much popularity as the most common technique to make porcelain veneers, they have the ability to be both beautiful and strong, in the right hands. The actual veneer is first made in wax form by the technicians. This enables the full form of the veneer to be realized in wax, shaped and perfected prior to making it in porcelain. The wax is then invested in stone and replaced with porcelain of the right shade and translucency called an ingot. 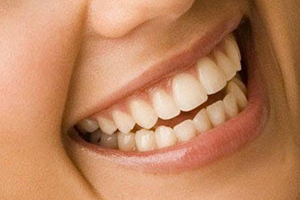 Pressable veneers have the ability to be both monolithic or layered. A monolithic veneer is created from the ingot and wax pattern of the veneer, stained, polished and finished and sent to the dentist. There is no additional layers of porcelain added to the veneer. A layered veneer is fabricated from the ingot in full form like a monolithic veneer, but then is cut back from the incisal edge down the front of the veneer and layers of porcelain colors with different properties are baked in to create a more natural result. A monolithic veneer or crown may be requested for its improved strength over a layered veneer or crown, because the layered area is more susceptible to chipping. A ceramist who is an artist is required to make the layering process look amazingly natural. Careful which laboratory will be in charge of creating this work of art for your smile, some laboratories cut costs by spending less time making veneers look natural with ceramists who are less trained or skilled in the techniques. Coupled with a keen eye for shape, color and creating surface textures and morphologies, a master ceramist can make a layered porcelain veneer look absolutely stunning! Stronger than a feldspathic veneer and easier to fabricate, pressable veneers have the ability to be beautiful and natural looking, and this is responsible for their popularity.